This news item was posted in World News category and has 0 Comments so far . 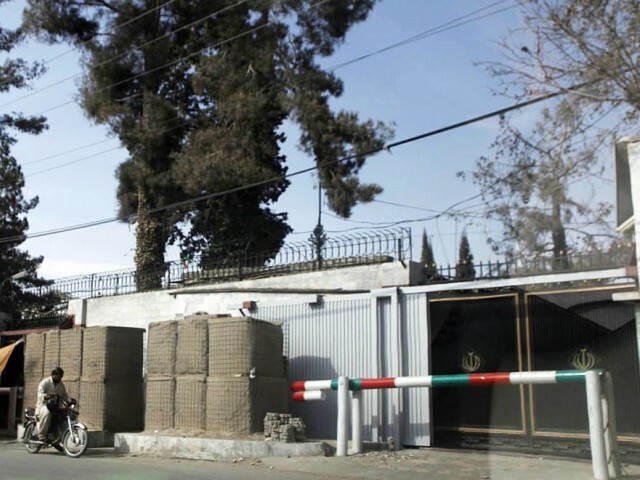 Islamabad has lodged a strong protest with Tehran over the violation of its border by Iranian border guards on Thursday and Friday that left one paramilitary soldier dead and three critically wounded. Nevertheless, Iranian border guards again fired mortar shells into a border town of Balochistan on Saturday. Iranian border guards opened ‘unprovoked fire’ in Mand tehsil of Gwadar district which shares a border with Iran’s Sistan-o-Balouchestan province late Thursday night. The firing continued into Friday morning, leaving a subedar of the Frontier Corps dead and three others injured. “We summoned Iranian Ambassador Ali Raza Haghighian late Friday and recorded our strong protest. We demanded a thorough investigation into the incident,” foreign ministry spokesperson Tasnim Aslam told The Express Tribune. Despite the diplomatic protest, Iranian border guards violated the Pakistani border for the third consecutive day on Saturday, firing three mortar shells into Mashkail, a town in Washuk district of Balochistan. However, no loss of life or property was reported in the attack. “There were three back-to-back explosions near a border area inside Pakistan. We found three mortar shells exploded in an open area close to the Iranian border,” a senior official in Washuk told The Express Tribune. “My family woke up to the sound of three explosions at 1am,” Dad Muhammad, a resident of Mashkhail, told The Express Tribune. “It was like there was a bombing in our town. Children were terrified,” he added. After Thursday’s cross-border firing, more than 30 Iranian border guards also trespassed two kilometres into Pakistani territory from Zero Point, a bordering town with Iran, on Friday and raided a house in the Lashkar-e-Ahb area of Naukundi in Chagai district. However, the commander of Sistan-o-Balouchestan Border Patrols said that his troops had thwarted an infiltration attempt by rebels at Zero Point on the border with Pakistan. Two senior provincial border guards were killed in the ensuing clash with hooligans that also left several rebels dead, he claimed. According to official sources in Iran, Iranian border guards have decided to chase their targets in Pakistan since they believe Pakistani security forces have failed to do so. Iran accused Pakistani residents of drug trafficking in the bordering area.